The Chicago Hockey is excited to introduce, Jonah, our youngest Microgrant recipient to date! Jonah is a spry 6-year-old and an elementary student in Plainfield, Illinois. He is already active in two leagues! 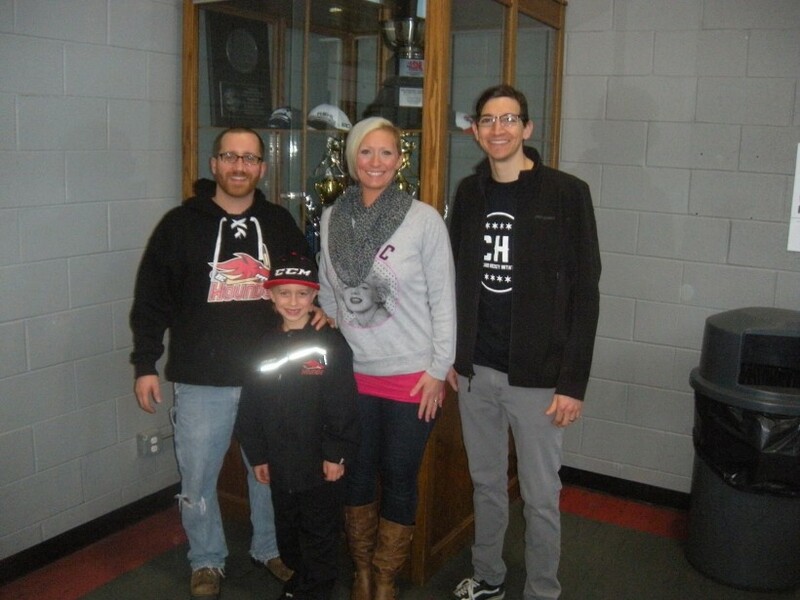 Jonah’s parents wrote in his Microgrant app, “Jonah loves hockey! His passion for the game is contagious.” His teacher, Ms. McGrath wrote, “We practice PRIDE – Personal accountability, Respect, Integrity, Determination, and Expect kindness – and Jonah is an outstanding leader to his peers when it comes to these expectations in class.” The CHI was thrilled to contribute to Jonah’s spring league fees to support such an enthusiastic student-athlete! Jonah is pictured in front in the above photo, backed up by (left to right) his father, Scott; his mother, Kristen; and CHI Treasurer, Jason.